Releasing the Magic! : Leadership Matters but success is all about TEAM!! Leadership Matters but success is all about TEAM!! My dentist asked me last week what makes a good school? what makes a really successful school? 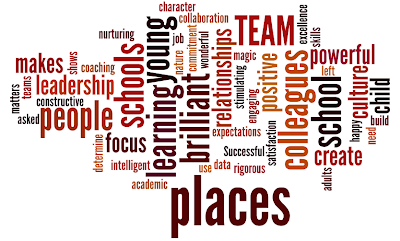 Research clearly shows that the leadership of schools can have a hugely positive impact on the educational outcomes of young people... but success is all about TEAM! places where every child matters and no child gets left behind. parents and carers as partners in learning.